This user is Mario jc. This user is a bureaucrat of the Super Mario Wiki. This user is a friend of FunkyK38's. This user is a friend of SKmarioman. This user is friends with Lilkaykaygal. This user is friends with LuigiFan. This user is friends with UltraMario3000. This user is friends with Ilove marioandtoad! This user is friends with Yoshidude99! This user is friends with Kaptain K. Rool. This user is friends with Superfiremario! This user is friends with ThatPeskyKoopaling, and knows that the Koopalings bring her much joy. This user is friends with Paperphailurethemariomonster99. This user is friends with Olors. This user is friends with Luigi86101. This user is friends with The RPG Gamer. This user plays the Crash Bandicoot series. This user's favourite Crash game is Crash Bandicoot 2: Cortex Strikes Back. This user's favourite Spyro game is Spyro: A Hero's Tail. This user was a member of Club Nintendo. This user's main is Lucina. This user thinks mushrooms should evolve to fly. 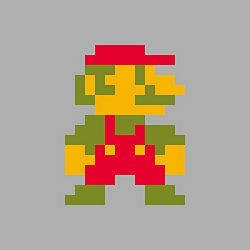 A little bit about me: I joined Super Mario Wiki on 31 January 2010. Eventually, I was promoted to patroller on 17 July 2011, but was demoted to autopatrolled from 15 January 2013 to 7 June 2016 due to high school studies from 2013 to 2014 and inactivity in general. I later became a sysop on February 3, 2017 and a bureaucrat on January 28, 2018. If you have a question, feel free to leave a post on my talk page, or check out my userpage while you're here! Just some of the things I've done in the wiki (so far). A ★ indicates my favourite games. I've also listed any Nintendo Classic Mini titles that were worth commenting on. Nintendo 3DS (Virtual Console) Controls are a bit awkward, but still has some of the most memorable Mario music. Beaten the game. Nintendo 3DS (Virtual Console) Because it was worth getting again, I've never played the original, and I had some spare Platinum Points. Completed the game. Nintendo 3DS (Virtual Console) Levels are creative and fun to play. Was never a fan of the controls for some reason. Beaten the game. Nintendo 3DS (Virtual Console) Still my favourite Game Boy game. The graphics and boss battles are pretty cool. Beaten the game with a "Perfect" rank. Nintendo Classic Mini: Super Nintendo Entertainment System While I prefer DKC2 more for its improved gameplay, the original established that DKC atmosphere future games would follow. Completed 101%. Nintendo Classic Mini: Super Nintendo Entertainment System Even after all these years, I still feel it's an underrated game. Completed the game with perfect scores. Nintendo 3DS (Virtual Console) Perfect balance and level of challenge. It looks amazing and seems to have aged well. Completed with 40 DK Coins. Wii (Virtual Console) The game's certainly shown its age, but it's still playable and fun nonetheless. Completed the game. Nintendo 3DS (Virtual Console) A great port with extra modes for replay value, but the small screen limits your view. Beaten Original 1985 mode. Wii U (Virtual Console) Aged controls and some unfairly difficult minigames and bosses. The first three levels are the most fun. Completed 101%. Wii (Virtual Console) Great gameplay and art-style. A charming departure from the main series with sidequests aplenty. Beaten the game. Game Boy Advance A decent remake, but collecting every Ace Coin and Yoshi Egg with the original difficulty is a pain. Completed the game. Game Boy Advance Levels were really fun (especially Topaz Passage), but the boss battles were lengthy, and I didn't care for its music. Completed on Normal mode. Game Boy Advance A Mario classic. I spent hours playing this as a kid, and I still cannot get used to Luigi's jumping physics. Completed with max score and lives. GameCube Great open environments. It certainly lives up to the "platformer" name, but it's severely under-polished. Completed the game. Game Boy Advance A charming yet surprisingly challenging platformer. Even after spawning multiple sequels, it still can't be topped. Completed the game, but not all with perfect scores. Wii U (Virtual Console) The most updated of the GBA remakes, and the best way to experience Mario 3. It has e-Reader levels! Completed the game (including World-e). GameCube Great courses, a cool special items mechanic, but very slippery controls. Too bad Battle Mode is multiplayer-exclusive. Incomplete. Wii U (Virtual Console) Incomplete. Game Boy Advance It's okay, I guess. All I remember is that it was incredibly frustrating retrying the level after dying several times. Beaten the normal and plus worlds. Nintendo DS A great remake of Mario 64, with minigames to boot. Sadly, this probably means we won't see a 3DS remake. Completed the game. Nintendo DS My favourite WarioWare title. It's perfect for showcasing what the DS is capable of. Completed the game with silver crowns, and unlocked all toys except Mona Pizza for obvious reasons. Nintendo DS The sky sections are slow and mediocre, but the fun really starts when you're on the ground. Unfortunately, that's pretty much it. Game Boy Advance Some of the minigames are little ridiculous. Okay, a lot of them. The rest are okay. Beaten Shroom City mode once. Game Boy Advance No progress made whatsoever. Nintendo DS Still my all-time favourite Mario Kart game, made even better in multiplayer. Missions mode seriously needs to return in the future. Beaten all cups and classes. Nintendo DS Hilarious, fun, and has a decent storyline. God help you if you enter the final part of the game with low levels. Beaten the game. Nintendo DS Surprisingly turned out to be quite fun. I remember some bad enemy placements, though. Completed the game. Nintendo DS A DS classic, and the only actual "new" game in the series. Mario vs. Luigi is incredibly fun, plus the minigames from Mario 64 DS return. Completed the game. Nintendo DS Gameplay in itself is fun, but the Final Fantasy characters are ridiculously overpowered. It doesn't help that my L button doesn't work, either. Beaten Tourney on Normal mode. Nintendo DS Has impressive visuals and creative boss battles like the original. The difficulty, however, is a bit over-the-top in some levels. Beaten the game. Nintendo DS Tons of fun puzzles, and tools to make your own! The musical nods to past Mario games are a very nice touch. Completed the game (including the Basement), but not all with gold stars. Wii A fun party game (as in a game great for parties). 9-Volt's microgames are easily my favourite. Unlocked all special features. Wii My first Mario Party game, eight games late. Minigames are fun, board designs look fantastic, but the board gameplay is slow. Beaten Star Battle Arena mode with all characters. Wii Dark, heartwarming, funny, and one of the best stories I've seen in any game. A direction Nintendo will likely never take again, unfortunately. Completed the main game, sidequests, maps and recipes, but not my Catch Card set. Wii The most complete Super Mario game and my favourite of all time. Excellent gameplay, visuals, music, and it even has story! Completed the game. Wii, Nintendo DS Admittedly, seeing Mario and Sonic in one game was pretty awesome. Too bad it became a mediocre sports series. Wii Tons of characters, music, content, and even a story mode! A lot of effort was put into this game, and that's why it's my favourite Smash Bros. Completed Subspace Emissary on Intense. Haven't yet collected every Sticker and by extension the Sticker trophy. Nintendo DS If I had to pick, I'd say this is my preferred Mario Party game. Minigames that use the DS controls are always fun. Collected every badge, but not every figurine. Wii My experiences with this game were mostly just getting bombarded with shells right before the finish line. At least the game looks pretty. Beaten all cups and classes. Still haven't unlocked Mii Outfit B.
Wii The other actual "new" game in the series (to a lesser extent). Best played in multiplayer, but gets old after a while alone. It also has my favourite final battle. Completed the game. Wii Its worlds are just as creative as the first (also, Yoshi! ), but unlike what Galaxy dared to do, it falls just short with another generic plot. Completed the game. Wii Mario 3 is great, Mario 2 is fine, Mario 1 I can live with, but I am never touching Lost Levels again. Nintendo 3DS Really the only good Mario game on the 3DS. It looks even better in 3D, but it's over-relied upon to make some precision jumps. Completed the game. Nintendo 3DS Has some of the best courses in the series, but also a noticeable lack of VS. Mode and fan-favourite Waluigi. Overall a mediocre Mario Kart. Beaten all cups and classes. All vehicle modifications not yet unlocked. Wii Some improvement over 8, but I'm with the majority thinking they should stick with the traditional board gameplay. Beaten Solo Mode. Nintendo 3DS It's the same thing I've played before, except with gold, un-fun Dash Mario levels, and more unnecessary and distracting vocals. Completed the game. Wii U A decent 2D Mario game that could've been so much more. Boost Rush is kind of boring, but the SMW-type map is a nice touch. Completed the game. Nintendo 3DS Other than living up to the "paper" name, it has nothing that made the series so special. Even on its own, it still has some design flaws. Beaten the game and completed the Sticker Museum. Unlocked 6/8 Super Flags. Nintendo 3DS While I would've liked it to be more free like the original rather than mission-based, I still enjoyed it. Capturing ghosts is especially satisfying. Beaten the game. All gemstones not yet found. Nintendo 3DS Fantastic level designs accompanied with a faithful remastering of the original DKC music. A challenging yet enjoyable game. Completed the game, but not in Mirror Mode. Wii U Excellent level design, and the soundtrack is fantastic. Wasn't the 3D Mario game I expected, but still fun. Completed the game. Wii U Best soundtrack in any game I've ever played. Graphics look amazing, too, and gameplay's pretty much on par with Returns. Completed the game, but not on Hard Mode. Nintendo 3DS Bland level design, stupid excuse plot, awful music, and overall tried to be as good as the original. It's "formerly owned" for a reason. Beaten the game. Wii U Courses are fast-paced and look amazing, and Nintendo really outdid themselves with the music. Would've been a 10/10 game if it weren't for Battle Mode. Beaten all cups and classes. All vehicle modifications not yet unlocked. Nintendo 3DS Great character roster, smooth gameplay, a mode far superior to Smash Tour, and portability. Too bad the 3DS hardware limits its content. Completed all Challenges and collected every single trophy. Wii U It's fun in multiplayer and all, but with this many characters, a single player campaign like Brawl would have been awesome. Haven't yet completed every Challenge. Probably never will. Wii U Puzzles are fun, but the gyro controls and having to look at both screens are a bit annoying. Completed every level except the dreaded Mummy-Me Maze Forever. Wii U Colourful, creative levels and an awesome soundtrack, both almost rivalling those of the original. Why was New Island even made in the first place? Completed the game with all Yoshis unlocked. Wii U The Mystery Mushroom is probably my favourite feature. Beware of countless brutally and poorly designed levels online. Unlocked all Mystery Mushroom costumes. Nintendo 3DS It had some funny parts, but it felt more like a compilation of Toad minigames in a bland overworld than an RPG. Completed the game. Wii U An improvement over Sticker Star, but with the same flawed battle system and pointless but unfortunately-required-to-complete-100% Roshambo Temples. Beaten the game, unlocked every flag, and completed the museum. Nintendo Switch It's pretty much the 3D Mario game I was waiting for after 3D World. Definitely the most impressive game since Galaxy, even though it was a bit on the easy side. Collected all 880 Power Moons and maxed out at 999. Nintendo 3DS Good for those who missed out on the original, though both control methods used for vertical aiming are a bit cumbersome. Beaten the game with an A rank. Nintendo Switch World of Light drags and isn't anywhere as good as Subspace or even Smash Run, but I appreciate the inclusion of an adventure mode. Multiplayer value's the same. Completed World of Light 100%, unlocked every offline Challenge and collected every spirit. A ★ indicates my favourite games. All of Bowser's quotes in Super Paper Mario! The "jc" part of my username are my initials. I have most of my Game Boy Advance and Nintendo DS games on a single Game Pak / DS Card which can play multiple games. I own the Prima game guides for Mario Party 8, Super Paper Mario, Super Mario Galaxy and Super Smash Bros. Brawl, so if you need any page references, feel free to ask. I also own the official soundtrack CDs for Super Mario 3D World, Mario Kart 8 and Super Smash Bros. for Nintendo 3DS / Wii U. This page was last edited on April 3, 2019, at 04:48.